DS Pokémon: Pearl Version (USA) "Void glitch" in 53:01.39 by MKDasher. Pokémon: Pearl Version is part of the 4th generation of Pokémon games, after Ruby, Sapphire and Emerald. For the first time in the main series, it features 3D graphics and online play over the Nintendo Wi-Fi Connection. In addition, there are 107 new Pokémon to catch. In this run, MKDasher beats the game fast using luck manipulation and a major glitch that loads the overworld map incorrectly, allowing him to venture outside the level boundaries. For more information, see the author's comments. There is also an alternate YouTube stream featuring commentary by the author. GC Ikaruga (USA) "maximum score" in 21:29.4 by keylie. Ikaruga (2001) is a vertical shoot 'em up published and developed by Treasure as a spiritual successor to its earlier title, Radiant Silvergun (1998). It was first released on arcade machines, then eventually ported to Dreamcast, GameCube, XBLA, Android, and even Steam, thanks to the loyal following among the Western shoot 'em up fans. 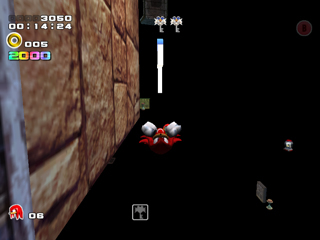 GameCube version was chosen for creation of this TAS as it provided both the most arcade-accurate port, and the most accurately emulated platform of those available at the time. 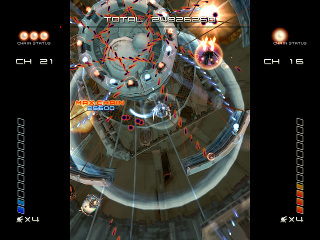 Ikaruga features a polarity mechanic wherein enemies can be black or white, shooting black or white bullets, respectively. 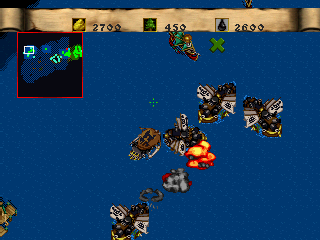 Additionally, player ships themselves can switch between black and white: when white, ship absorbs white bullets and deals extra damage to black enemies, and vice versa. When enough bullets are absorbed, a powerful enemy-seeking attack can be unleashed. As such, typical gameplay consists of frequent polarity switching, chain-killing enemies, and absorbing bullets instead of dodging them; to capitalize on this, the author chooses to control both player ships in order to absorb as many bullets as possible, do more damage, and pick off escaping enemies without breaking a kill chain. The goal of this TAS is to maximize the score. Ikaruga's scoring system mainly consists of color-based enemy chaining: killing three enemies of the same color in a row increases chain value, messing up the color sequence resets it. 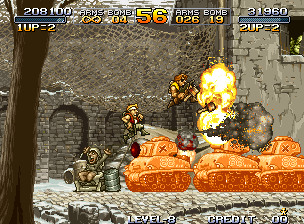 Absorbing bullets and lasers, speedkilling bosses, and having spare lives at the end are also significant score boosts—all of these are used in the TAS to the fullest extent. The final score is a massive 50,230,200, only attainable with two players. Ikaruga has been extensively competed in both Western and Asian gaming communities, leading to publication of an official superplay DVD, as well as blessing us with many amazing feats of unassisted gameplay. If you've enjoyed this TAS and would like to see what some of the best human players have to offer, make sure to watch VTF-INO's unassisted doubleplay, in which the player attempts to achieve maximum score by controlling both ships in realtime; also check out RNA's flawless stage 5 boss fight done solo, and Sa Suisai's full-game unassisted playthrough on Normal difficulty, executing some inhumanly precise chains on the XBLA version of the game. GC Tony Hawk's Underground 2 (USA) in 08:26.17 by Fog. Tony Hawk's Underground 2 is the sixth installment in Neversoft's Tony Hawk's series and is the sequel to Underground. 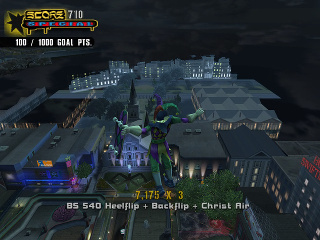 The gameplay in Underground 2 is similar to that of previous Tony Hawk games: the player skates around in a 3D environment modeled after various cities and attempts to complete various goals. Most goals involve skating on or over various objects or performing combos. Scores are calculated by adding the sum of the point value of each trick strung together in a combo and then multiplying by the number of tricks in the combo. 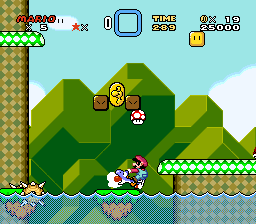 In this run, Fog skates, grinds, and flies through the air to complete this game as fast as possible on the easiest difficulty using multiple glitches along the way. For more information on the tricks and glitches used in this run, check out the submission text. The YouTube encode removes the credits and its associated ending theme for copyright reasons. 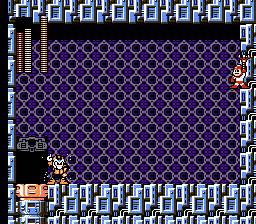 GB Mega Man IV (USA) in 35:53.26 by Tremane & willwc. Tremane and willwc run through the entire game in 35 minutes and 53.26 seconds. 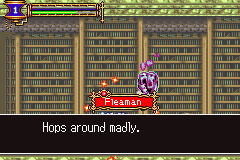 GBA Castlevania: Aria of Sorrow (USA) "all souls" in 18:45.26 by Fz-Last, alkdcY & Pike. Contrary to the previous publication, which used no glitch warps (either by death or by getting out-of-bounds using transform souls), this run makes extensive use of them, knocking off 6 minutes and 10.84 seconds of it. However, the previous publication is still worth a watch, as it demonstrates how such a run would look like if no glitch warps were used. 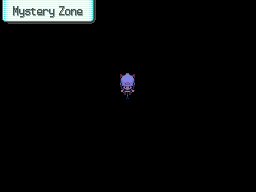 If you would like to see the game beaten even faster, don't miss the any% run by klmz. FDS The Legend of Zelda (FDS v1.0) "2nd quest, game end glitch" in 03:06.46 by TASeditor, Masterjun & sockfolder. The second quest of The Legend of Zelda is what you get by having completed the game once. It is more difficult than the first quest. In this movie, the authors enter ZELDA as the player's name to start the 2nd quest without having to complete the game first. The authors in this run also enter some of their own code, and don't really complete the game a second time either – yet somehow do. See the authors' notes for more details. We also have a non-glitched run of this 2nd quest. NES Mega Man 4 (USA) in 32:02.6 by Tiancaiwhr. 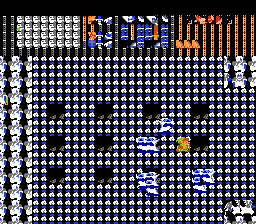 This is the seventh published movie of Mega Man 4 (ＵＳＡのロックマン４), played for the first time by Tiancaiwhr. This movie improves the previous run by nearly 2 minutes thanks to new tricks and glitches, as well as better optimization and lag management. GC Sonic Adventure 2: Battle (USA) "Hero Story" in 27:12.38 by THC98 & itsPersonnal. A complete conversion of Sonic Adventure 2 from the Dreamcast, with additional features exclusive to the GameCube. Play as either Sonic, Knuckles and co. or the evil crew of Dr. Eggman, Shadow and Rouge through a total of 150 missions across 30 levels. As Sonic's team, you must stop Dr. Eggman from taking control of the Chaos Emeralds, and as Dr. Eggman's team, you must hold Sonic at bay while collecting all of the Emeralds to take full control of the planet. Exclusive to the GameCube are improved visuals, new 2-player battle games (including Kart Racing, Hunting and Chao Karate) and the ability to grow Chao and exchange them to the Game Boy Advance game Sonic Advance for portable training. Genesis The Lost Vikings (USA) in 27:29.34 by Archanfel. 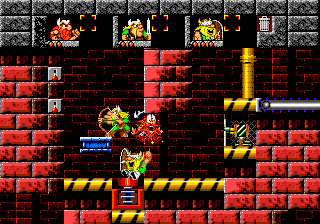 In this action/puzzle game, you control three Vikings lost in time and space, each with their own special abilities needed to solve the levels. This movie controls three characters simultaneously. Archanfel manages to improve the previous TAS by 8 minutes and 17 seconds through much better optimization. See the author's comments for what was improved. Keep in mind that only Vikings that are onscreen can be controlled. 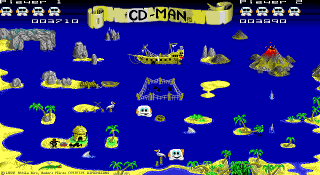 DOS CD-Man Version 2.0 in 00:03.71 by c-square. 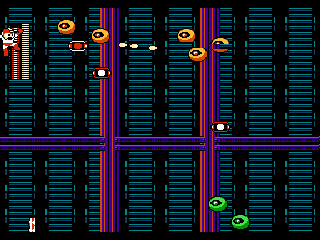 CD-Man is a Pac-Man clone first released in 1989, then updated to Version 2.0 in 1992. The game speed options range from the really slow "Zzzzz..." to the mind-numbingly fast "Warp". 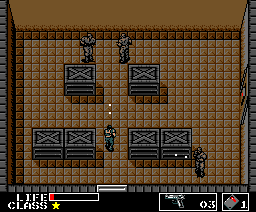 Five levels are present in Version 2.0 of the game, unlike the original version, which ended at level 3. Author c-square controls two characters simultaneously at the highest speed setting and clears the 5 levels twice in 3.71 seconds, making it one of the fastest published TASes on this site. Due to the sheer speed of the game, slowed down encodes are available. One is at 16.7% of the regular speed, while another is at 10% of the regular speed.